國防工業股 - 舊討論區 - 巴菲特班 洪瑞泰 (Michael On) - Powered by Discuz! HEICO Corporation is a successful and growing technology-driven aerospace, industrial, defense and electronics company. For more than 55 years, HEICO has thrived by providing customers with innovative and cost-saving products and services. HEICO's products are found on large commercial aircraft, regional, business and military aircraft, as well as on a large variety of industrial turbines, targeting systems, missiles and electro-optical devices. HEICO Corporation is a New York Stock Exchange listed company (NYSE: HEI and HEI.A) and has also been ranked as one of the 100 "World's Most Innovative Growth Companies", 100 "Best Small Companies" and 200 "Hot Shot Stocks" by Forbes over the past decade. With headquarters in Hollywood, Florida, and multiple locations around the world - HEICO provides over 1 million square feet of design, manufacturing, repair, overhaul, distribution, sales and support capabilities. HEICO Corporation operates in two segments, the Flight Support group and the Electronic Technologies group. The Flight Support group designs, engineers, manufactures, repairs, distributes and overhauls FAA-approved parts that extend over the entire aircraft, from the engines all the way to hydraulic, pneumatic, electromechanical, avionic, structures, wheels and brakes and even interiors. The Electronic Technologies group produces electrical and electro-optical systems and components serving niche segments of the aerospace, defense, communications, and computer industries. The Electronic Technologies group is a worldwide leader in the design, manufacture and sale of electrically and electro-optical engineered products used in the aerospace, defense, space, and electronics industries. By combining state-of-the-art technologies, a team of highly skilled Team Members and an indisputable commitment to quality, both segments have constantly delivered invaluable solutions to customers over the years, helping to position them as leaders within their industries. BBA Aviation plc is a United Kingdom-based provider of global aviation support and aftermarket services. The Company delivers its services at over 230 locations on five continents. The Company operates through two segments: Flight Support segment and Aftermarket Services segment. The Flight Support segment consists of Signature Flight Support and Aircraft Service International Group (ASIG). The businesses within the Flight Support segment provide refueling, ground handling and other services to the business and general aviation, and commercial aviation markets. 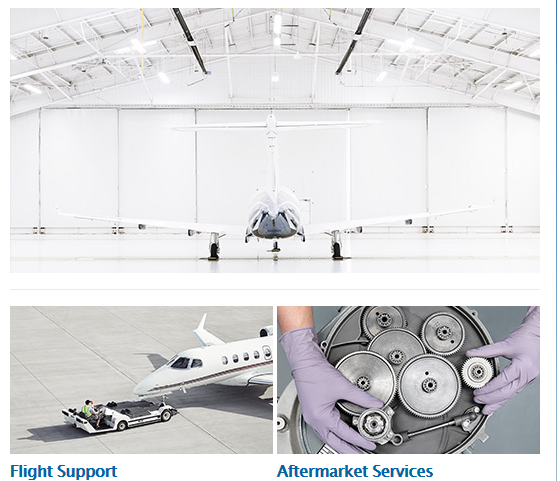 The Aftermarket Services segment businesses consists of Engine Repair & Overhaul (ERO), and Legacy Support, which principally repair and overhaul small thrust capacity gas turbine engines and service and support legacy aerospace components, sub-systems and systems. Elbit Systems Ltd. is an international high technology company engaged in a wide range of defense, homeland security and commercial programs throughout the world. The Company, which includes Elbit Systems and its subsidiaries, operates in the areas of aerospace, land and naval systems, command, control, communications, computers, intelligence surveillance and reconnaissance ("C4ISR"), unmanned aircraft systems, advanced electro-optics, electro-optic space systems, EW suites, signal intelligence systems, data links and communications systems, radios and cyber-based systems. Elbit Systems shares are traded on the Nasdaq National Market (NASDAQ) under the symbol “ESLT” and on the Tel-Aviv Stock Exchange (TASE). 3.Can You Guess Who Boeing's Biggest Customer Is?